Most of you know me by now that when you haven’t heard from me in a while, its because I’m travelling and this time around, I was off to Paris for a couple of nights before heading to India! That’s right, INDIA! But before I dive deep into my food adventures in Asia, I return back to my favourite city in the world, Paris! The visit was short but sweet and what a great place to catch up with my friends A and F, visiting from Brussels. 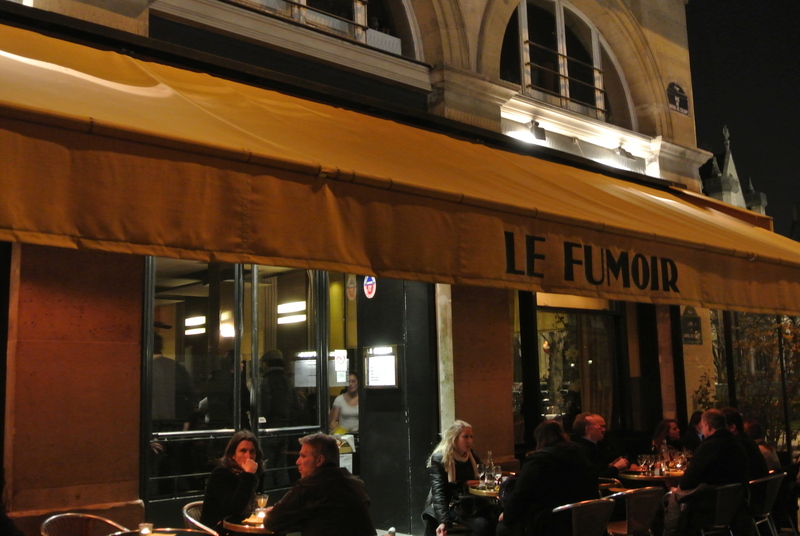 Coming as a recommendation, my friends booked reservations at Le Fumoir and the food and atmosphere was fantastic! 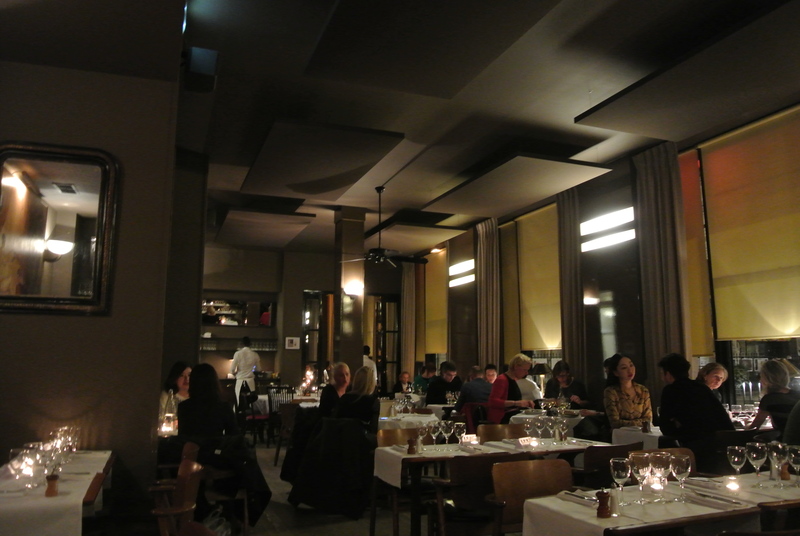 With a fixed price menu, entree, plat et dessert for 38 euros is a deal – of course, that doesn’t include wine but that stuff is cheap here! All my courses were delicious but I must say, ending the meal with the cheese plate has to be my favourite! Much to the dismay of most of my friends, wherever I can, I opt for cheese to finish my dinners in France and the choice of cheese paired with a tart and sweet mix of cabbage and apples was perfection! Completely satisfying! 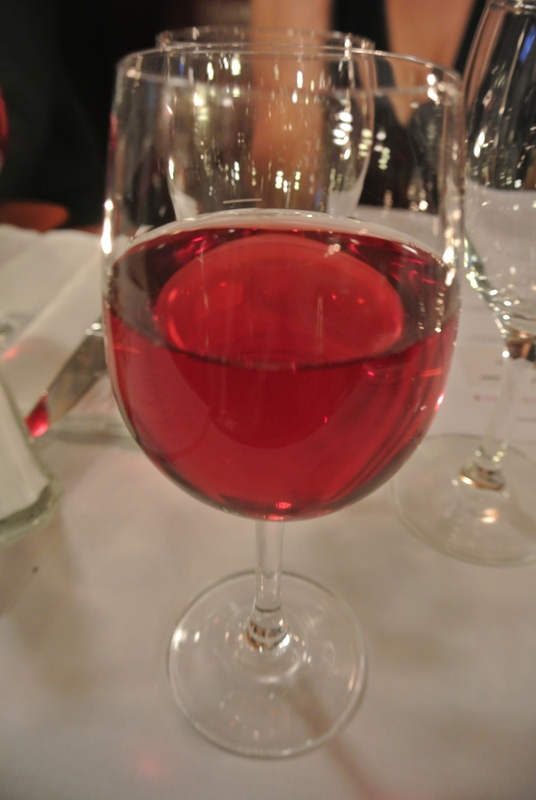 An aperitif to start the night – Kir! 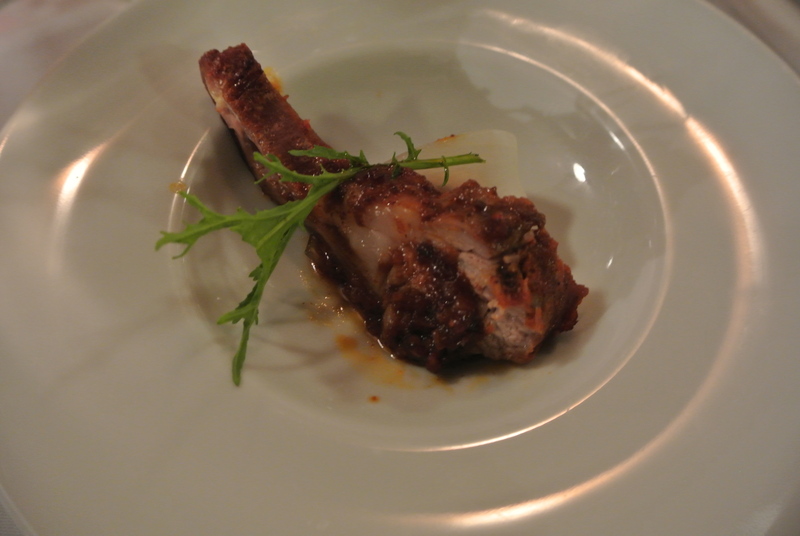 The amuse bouche of the night – lamb chop. 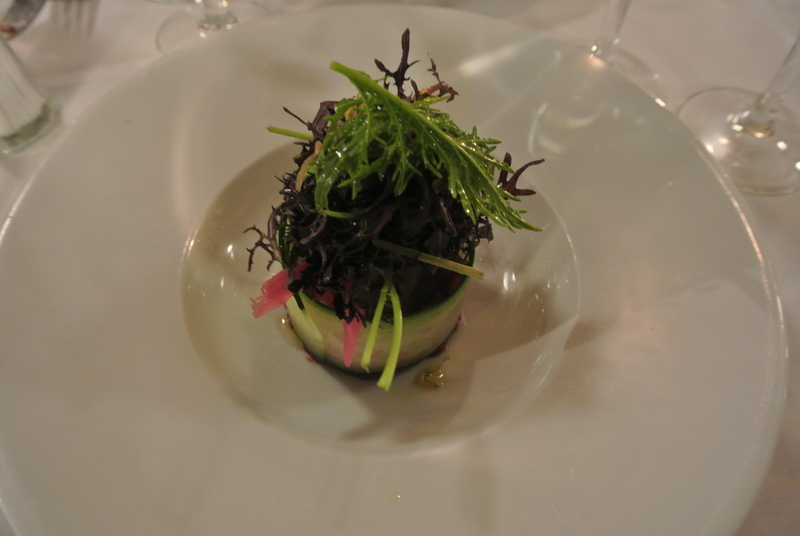 Tartar de boeuf – beef tartare with cucumber and mixed greens. 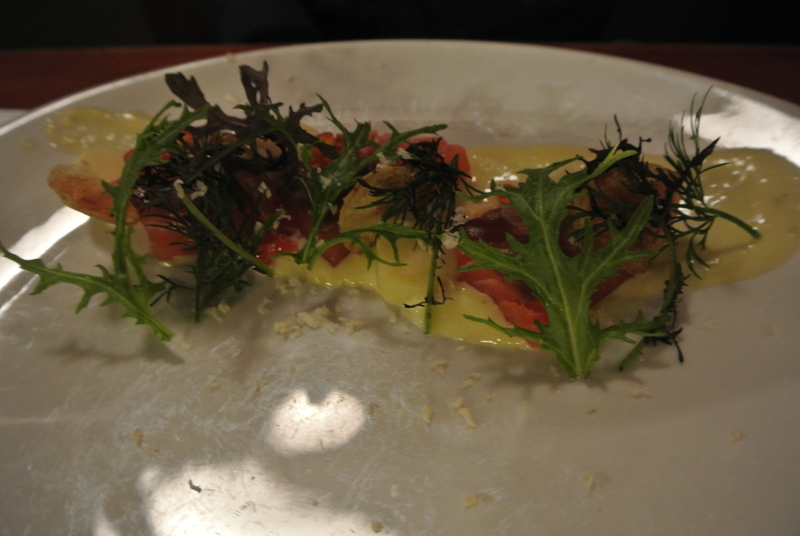 Saumon fume – appetizer of house smoked salmon, sliced potatoes and cream of lemon. 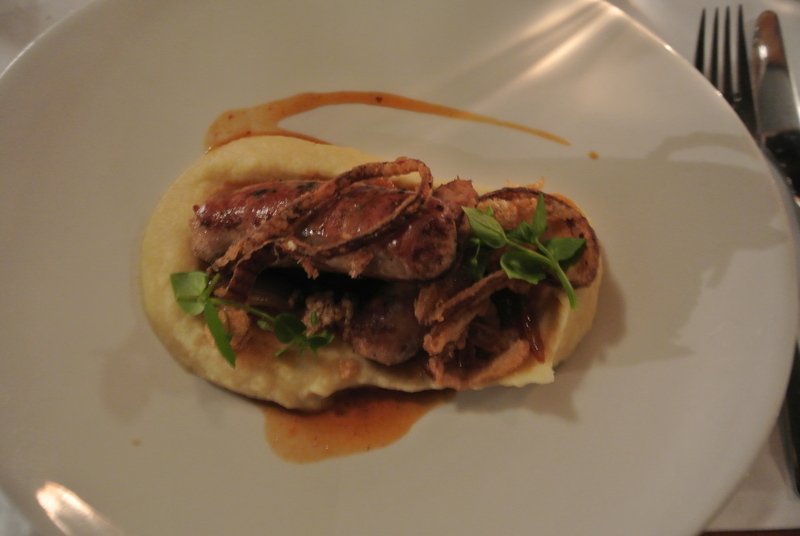 Saucisse de porc et foie gras – my dinner or pork and fois gras sausage with mashed parsnip and stewed onions. 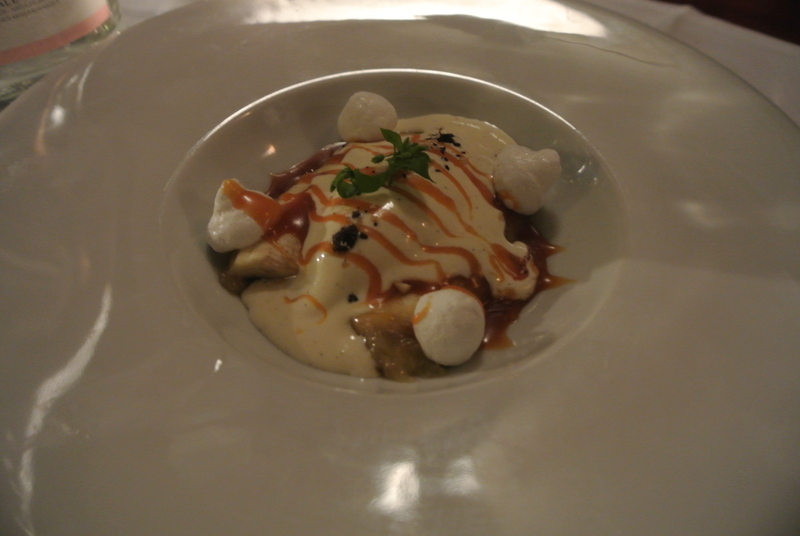 Banane poelee – pan fried bananas, meringue, bourbon caramel and pralines. 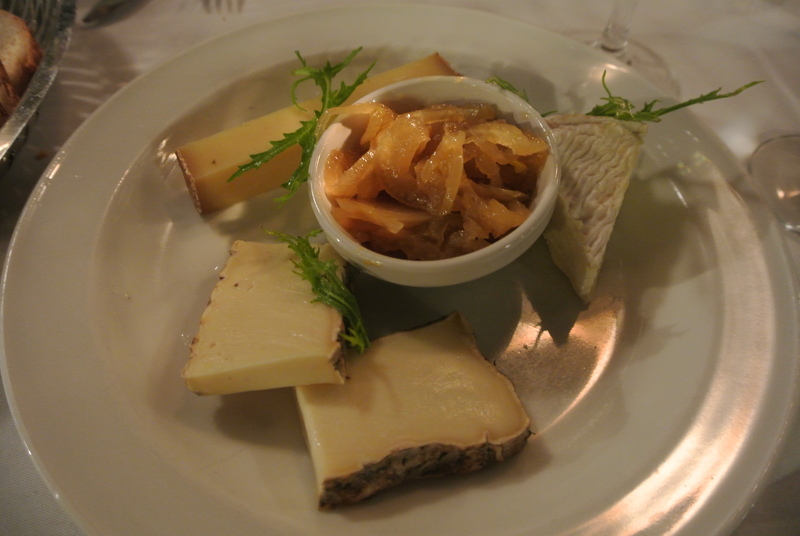 Selection de trois fromage – cheese plate with three cheese and pickled cabbage.